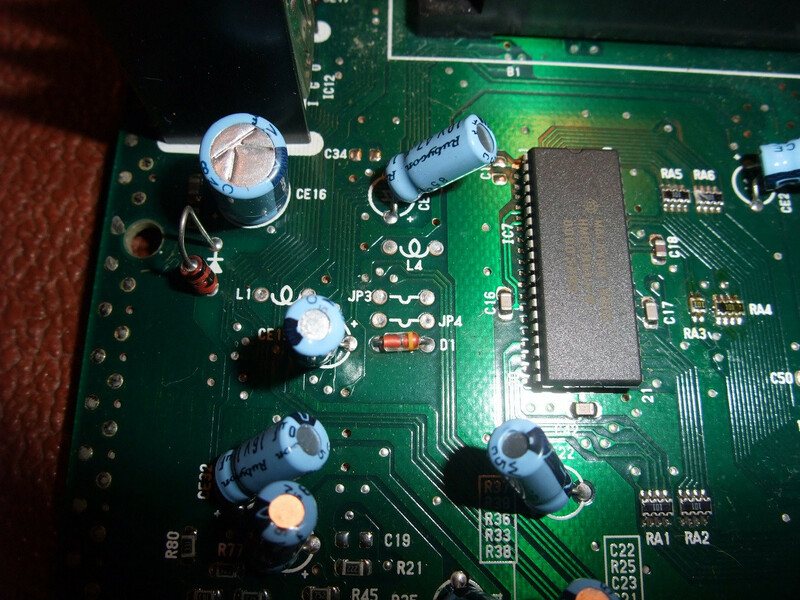 Sega MegaDrive 2 50/60hz and Region Single Switch Mod. 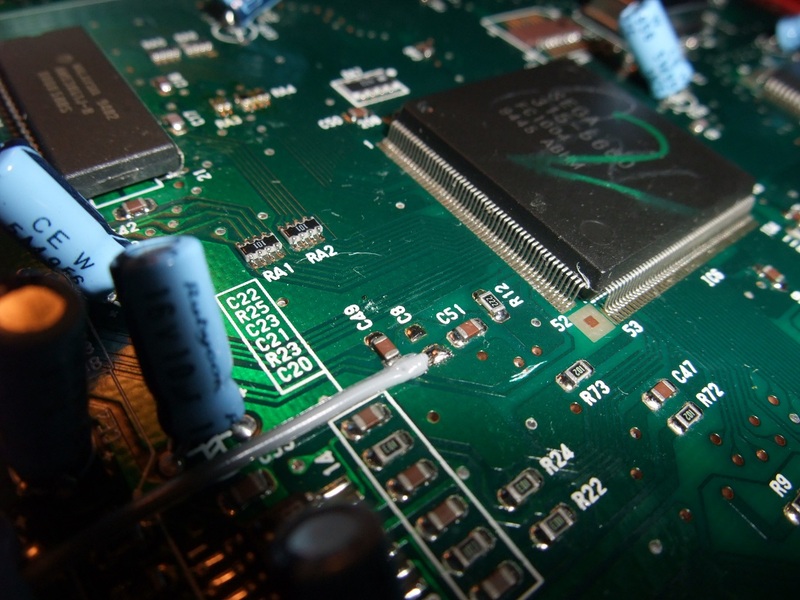 Discussion in 'Modding and Hacking - Consoles and Electronics' started by BlockABoots, Nov 18, 2014. 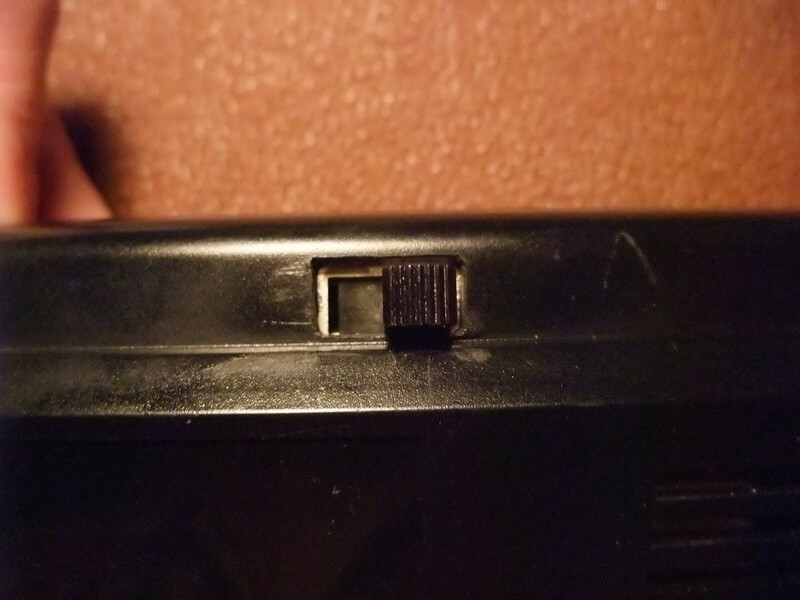 I know there have been many threads on the more commonly know 2 switch 50/60hz and region mod for the MegaDrive 2 system but there doesn't seem to be hardly any guides on the newer less know single switch mod, so today i thought i rectify this for anyone wanting to do this fairly simple and clean mod on their MD2 console. 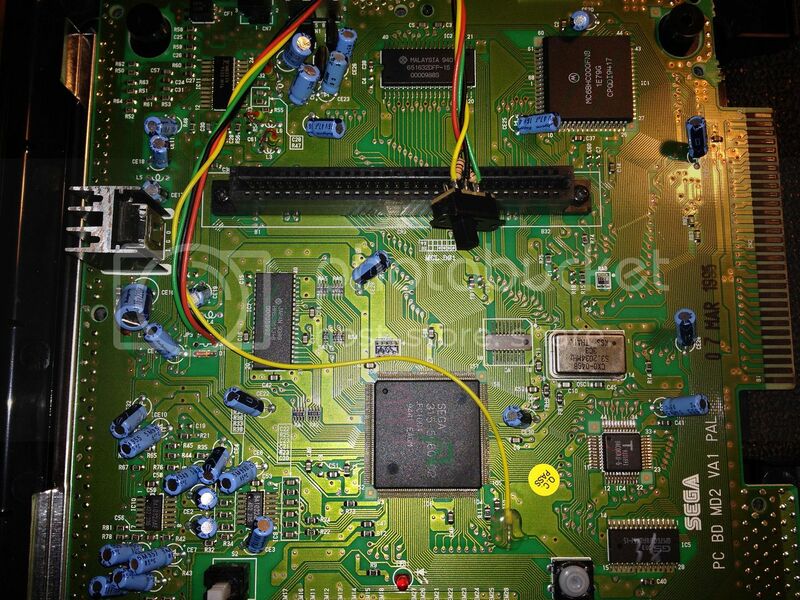 There are only 3 areas we need to be concerned with on the MD2 mainboard (only 1 of them being slightly problematic than the other 2) and i should stress this is for the VA0, VA1 and VA1.8 revisions of the MD2 system and i cant say if the layout is the same on the later revisions but i shouldn't see why not. You have now completed the most difficult part of the mod. 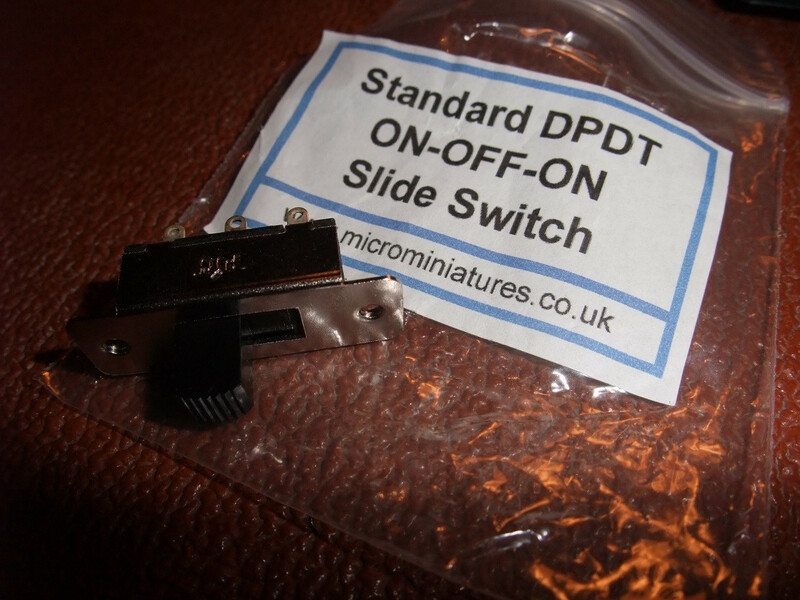 Cogratulations you now have a single switch 50/60hz & Region modded MD2 consoles!!! Two 1K resistors are soldered to the outer pins and twisted together. 5V (red wire) is soldered to the resistors, GND (black) is soldered to the middle pin, 50/60Hz select is soldered to one outer pin (green) and Language select (yellow) is soldered to the other. 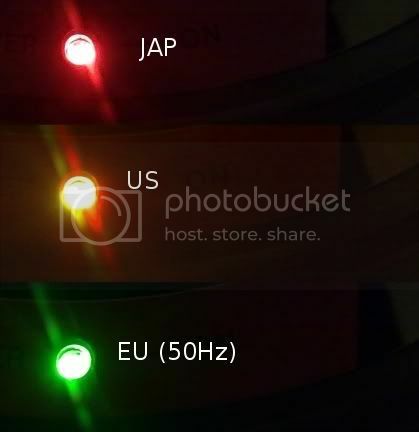 That gives me 50Hz(ENG), 60Hz(ENG), 60Hz(JAP) in that order. You can also use the same method on the second row of pins on your switch to add a tricolor LED that changes colors according to the region. 1K resistors work well here (higher would make the LED too dark). Yes adding pull up resistors can stop any "funkiness" happening (TmEE guided me on that. He had issues, I never did but do it now just to be safe). Tri-colour is sweet too! I use blue and red to get blue/red/purple. Just took a bit of messing around with resistors to get the balance right. Thanks for the heads up on the resistors, so what do these resistors actually do?? 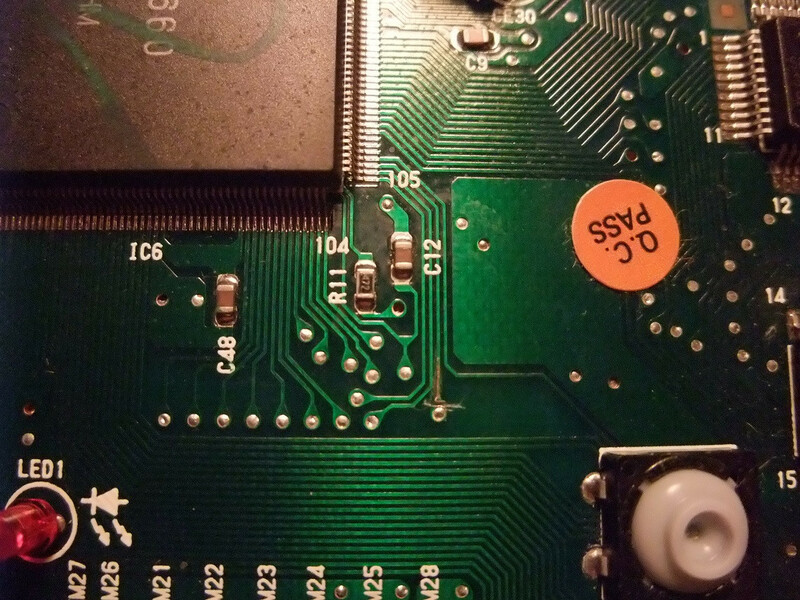 So to confirm from your picture, 1k resistor solder to each outer pin on the switch and then connected together and then the 5v wire (JP 4 in your case and C 8 in mine) soldered to resistors, ground of JP 3 soldered to middle pin, hz wire to one outer pin and lang to other outer pin?. So yours uses a 4 wire solution. 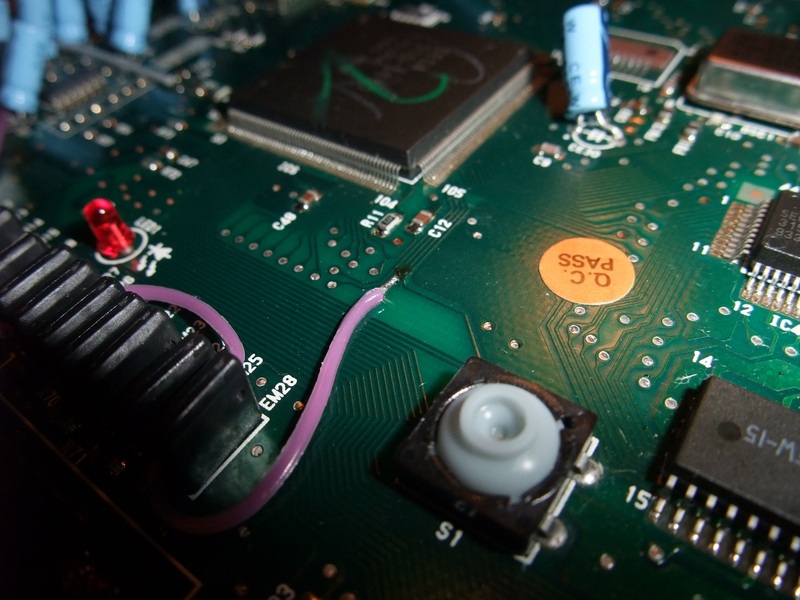 When the switch is in the center position the resistors "pull up" the 50/60Hz- and the Language-wires to 5V. If the switch is to either side, one line will have a direct connection to GND and the resistor will prevent a short between GND and 5V. The other wire will then be pulled high by the resistor. Thanks, ill guess ill add the resistors on my switch. Ive not had any issues at the moment but i guess its best to add them for safety. 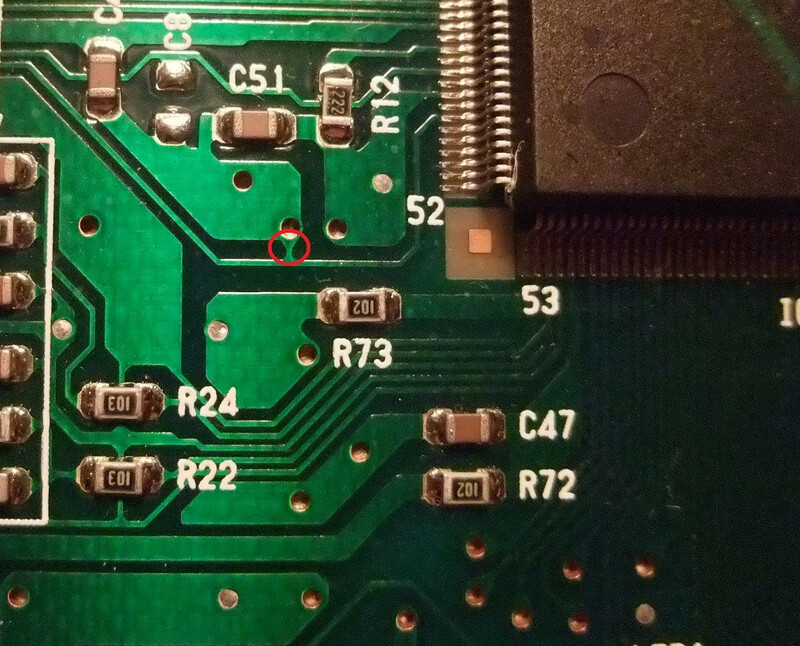 So for my install where i have soldered to C 8 is that replaced with JP 4 or the other JP 3 pad in your method?.....i was under the assumption that 'C 8' was providing ground? Im guessing i just need to solder another wire to JP 4? You can get GND and 5V from lotsof places. 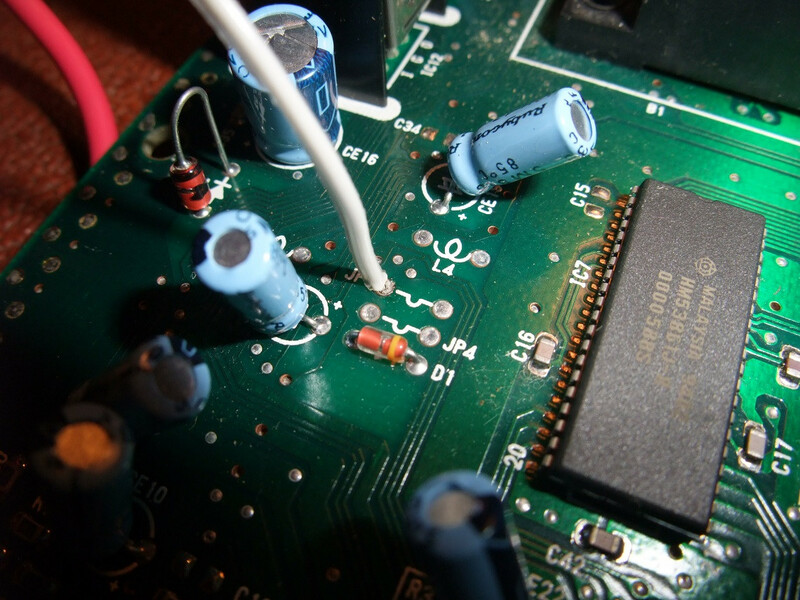 I just like to use the through-hole connections as it makes it look neater IMO If you are unsure if something is GND you can use a multimeter, and measure the resistance against one of the points that run along the edge of the PCB. Well the actual C8 pad ive already solderd to is ground and the north pad of C8 is actualy positive...but seems to be considerable more that 5v. JP4 seems to be in the region of 3.9v and that north pad of C8 seems to be 11.5v. Unless im reading it completely wrong on the MM. 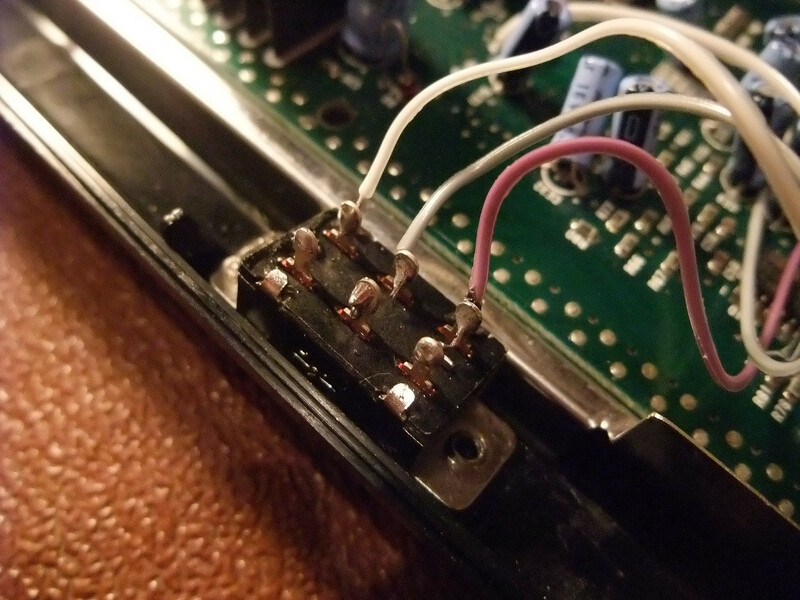 So im not actually pick up a separate 5v from anywhere with the way i have it wired currently?? Sorry to resurrect an old thread with a possibly stupid question or two, but I'm wondering... what gauge/type of wire (& solder) would you folks recommend for this mod? Also, @Bearking : I'm intrigued by your tri-colour LED mod! Would you be willing to share your technique with me please?